and 0% financing is available! We do basement waterproofing in Michigan right the first time, so you can stop worrying and get on with the things that matter. With over 100 years of combined experience, StayDry® is the standard-bearer for basement waterproofing, crawl space waterproofing, foundation repair, and similar services for homeowners and businesses. Our expert contractors take pride in their workmanship, and they’ll educate you on the different approaches to eliminate leaks in your foundation and keep your basement safe from water damage. We’re so confident in our abilities that we’ll offer you a fully transferable, lifetime warranty on many of our services. No fine print, no questions asked. We are the basement waterproofing company for Lansing, MI! Whether you are new to Michigan or are a seasoned resident, the need for basement waterproofing is critical for the safety of your home, family and property. With over 70 inches of combined rain/snowfall annually in the Lansing area, we definitely receive our fair share of precipitation. StayDry Basement Waterproofing offers comprehensive solutions to fit any need and budget. StayDry has been in business for over 100 years, tirelessly serving the people of Grandville. We are so sure you’ll love our work, we offer a 100% satisfaction guarantee on almost every service we provide. Schedule today at 1-800-STAY-DRY! Vertical cracks are common and occur naturally in a homes foundation as it settles naturally with age. Horizontal cracks, however, can be a symptom of larger, more serious foundational problem. 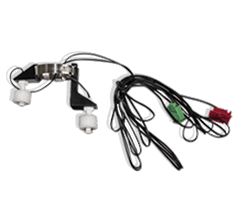 Our crack injection service uses a proprietary epoxy solution that expands to fill the entire crack, effectively sealing it from water leakage. If you notice any cracks in your foundation, call our experts at 1-800-STAY-DRY for an obligation-free consultation. Rain/snowfall combined with huge temperature extremes causes soil expansion and your home. This can cause foundational problems to your home. It is vital to have drainage systems in place to pull water away from the base of your home. French drains and sump pumps safely funnel standing water away from your home’s foundation. 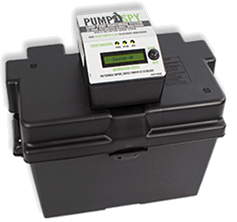 While inexpensive sump pumps can be attractive they are often ineffective in moving the large volume of water needed to protect your home and property. 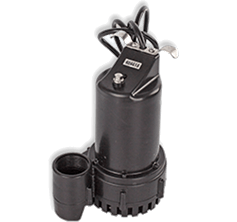 At StayDry, our cast iron sump pumps are ranked among the highest in the industry and will keep your home dry and damage-free. Often, water flooding problems are best stemmed from outside your home. At StayDry, we offer an Exterior Basement Waterproofing System that involves exposing the foundation of your home, placing a plastic waterproof barrier along the entire exposed surface and installing french drains to effectively move water away from your home’s foundation. While extensive, this is our fastest growing and most effective basement waterproofing service. No matter your water issue needs, we have solutions to fit your budget. Your home is the place you should feel the utmost peace and security, and being prepared for any eventuality is part of that security. Don’t leave your family, home and belongings vulnerable to the unforgiving elements. With our 98% customer satisfaction rating, we have earned the trust of the Grandville community. Ask about our satisfaction guarantee and 0% financing options, you won’t be sorry. Call today at 1-800-STAY-DRY or fill out our online form here and we’ll get right back to you! We were founded in Lansing, Michigan but have been fortunate to grow throughout the state with our services. We help homeowners with basement waterproofing, crawl space and foundation repair services all over West Michigan and Kalamazoo. Much of our work is in metro Detroit, and we recently opened a location in Warren to better serve the Oakland and Macomb county areas. We live and work in Michigan and are proud to help homeowners in this state keep their basements dry! We are the top Basement Waterproofing, Crawl Space & Foundation Repair Contractor in Lansing, MI. StayDry® is your one-stop shop for all your basement waterproofing needs in Michigan. We fix basement leak repairs in Michigan.